Beef stew, again! There are so many variations of stew that one can make, aren’t there? 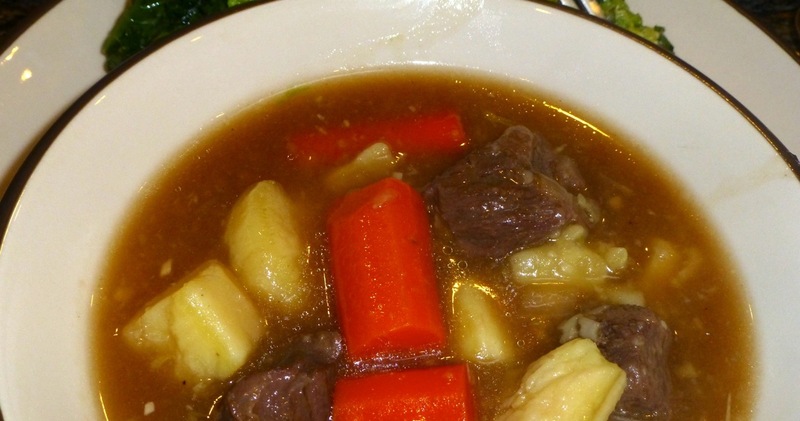 This one is called Grandma’s Ginger Beef Stew. I’m afraid our stew days might be over soon as the days are getting warmer. Although … if the house is air conditioned it shouldn’t matter, should it? Our house stays cool because of all the trees surrounding it. We did “cheat” a little on this recipe and used the soy sauce that it called for (but not the corn starch) and we replaced the white potatoes with sweet potatoes instead. It was deeee-liiiii-cious! 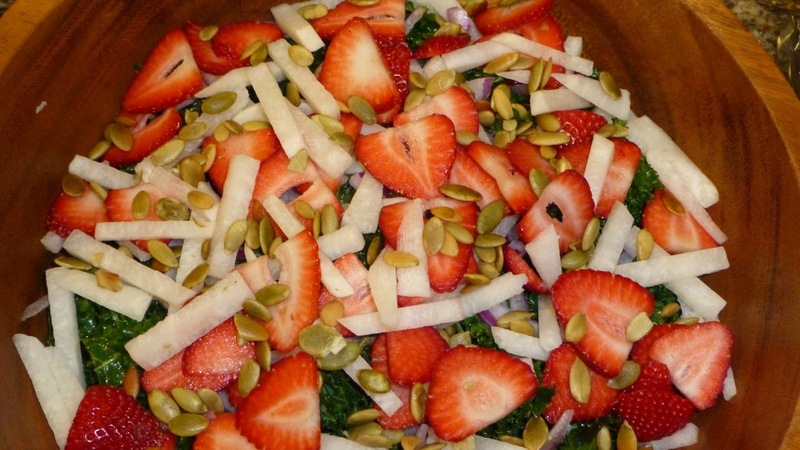 The side salad we had was a Kale and Strawberry Salad and was interesting in flavor because of the combination of strawberries, kale and jicama (a pale brown turnip with crisp sweet flesh). It was crunchy and good! Doesn’t it look delicious? I’m guessing we’ll be eating more and more salads as the summer nears.